Another case for Detectives Bob and Larry! 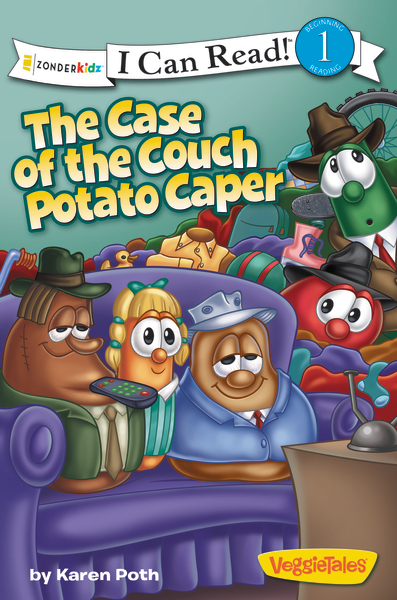 The Couch Potatoes have taken Laura the carrot hostage. Ever since they have arrives she has been glued to the TV. Laura won't do any of her responsibilities because she is too busy watching TV. Laura lost a lot of her things in the mess while being so lazy watching TV. Larry and Bob help her to realize that being idle isn't what God has planned for her and they are able to solve another case. This is an I Can Read book on a level 1 beginning reader. There are some words that the youngster will have to learn, but once he has it he will be good to read this book again and again!